Fixed fee safe opening. We’re a safe bet. From the highest quality jewellers safe to the cheapest digital home safe, they can all sometimes go wrong. Please see our identification page before calling. Better still email some pictures please, see “Helpful Information” below. Basic “Nusafe / S&L / Hika / Keygard ” style digital A5 safes are charged at our standard locksmith door opening rates. Because they are not very secure at all. Older safes with brass handles can be picked open and new keys made from £180 all inclusive. Domestic plate safes can be picked open and a new lock fitted from £180 all inclusive. Better quality commercial safes are priced by their insurance grade and the specific locks fitted. 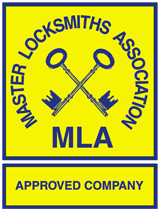 Grade Zero, around £240, Grade One around £300, Grade two around £360, Grade three safes from £450. We will change the lock so that lost or stolen keys can not be used. letting them damage your property. calculated after examining the safe. Photos are a great help please. We can manipulate mechanical combination locks such as Sargent Greenleaf S&G or La Gard in order to discover the correct numbers. Just like spy films and James Bond, we sometimes use a stethoscope (ours are hi-tech electronic). In real life though, these things always take longer than the movies 🙂 If you have a safe but do not know the code then send us some pictures to get a quote. We also have special skills and equipment to open electronic safe locks without putting holes in your safe. We call it spindle hole magic and these techniques can save a huge amount of drilling. You can send pictures via text SMS MMS to 07976272132 and that number is also on WhatsApp to save messaging fees. You can add pictures via our contact us page or call 07976 272132 and we will send you an email link. Strong boxes have been made for hundreds of years. There have been thousands of different safe manufacturers all making different safes for domestic and commercial risk levels. Many companies deliberately make whole ranges of safes look the same, so that burglars cannot tell how secure each one is. Sometimes even we need to actually see the safe before we can give more than a ‘to and from’ price range to open and repair. The cost can vary just because one year Tann safes used Kromer locks with a flange case and the next they used the slimline case Kromer lock. The more information you can gives us then the more accurately we can price a job. But don’t worry, we can always get you in even without this information. We always like to make sure the costs are agreed before proceeding and then they are fixed no matter how long it takes. Occasionally people say “what if you can’t open it?” well in 22 years we have never been beaten. A safe is the last line of defence and it’s job is to slow down a criminal, the higher grade of safe means the more time it can buy you. A high tech commercial grade safe with complex locks and mechanics can buy you a lot of time. If the mechanism goes wrong that can mean a long opening, but gaining entry and repairing safes is our speciality. The See below bit – If we pick open your safe quicker than you expect, our price still remains the same. Making professional repairs or rekeying your safe often takes far longer than opening it. You are not just paying for our time on the day and the expensive diesel to get our vans to you, but all these other things. See explanation below. Professions such as solicitors and accountants charge very very high hourly fees. This is because it takes a long time and lots of money to become a solicitor or accountant. It also takes a long time and a lot of money to be able to do what we can do, however our rates are very, very much lower than theirs and we offer fixed fee rather than hourly rates. Our prices do have to reflect the costs for massive investment of money and time. Specialist tools, picks, decoders, lathes, milling machines, optical equipment, endoscopes, drilling equipment, many drill bits, diamond hole saws, key machines and stock. Specialist computer equipment software and interfaces. For the twenty five plus years spent learning our craft so that we can open your safe or door in the most professional and speedy manner. For the countless hours studying, practising, machining, soldering and experimenting. Money cannot buy experience but you can hire time served safe engineers. Only an elite handful of people have the skills to pick or manipulate Chatwood, Chubb, FAS, Rosengren RKL10 locks, Fichet, Kromer, La Gard, Milner, Ratner, Mauer, Cawi, Stuv, Sargent Greenleaf S&G locks. You can have our high quality service for a good value price. Call Alan now. Thanks for reading.